The Gamble And The Glory: Rookie Advertisers In The Super Bowl 0 out of 5 based on 0 ratings. 0 user reviews. Super Bowl weekend is upon us, and fans all over the world are busy counting the minutes to the Big Game while watching endless pre-game shows – and commercials. Meanwhile, Super Bowl advertisers have been promoting their campaigns for weeks, with well-coordinated leaks about celebrities they’ve managed to enlist, teasers and social media blitzes on Twitter, Facebook and Instagram. Among them are new brands that hope to make a splash, raise awareness and ride the Super Bowl wave all the way to the bank. The 2016 Super Bowl will feature 14 new brands who are advertising for the first time. 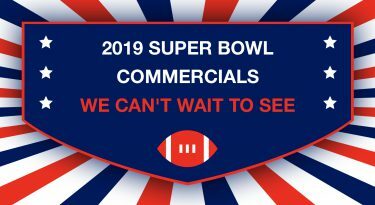 In 2015, according to Kantar Media, first-time advertisers totaled 29% of the Super Bowl ad lineup, accounting for 12 out of 41 companies that advertised. The number of rookie advertisers has been climbing steadily in recent years. What attracts rookie advertisers to the priciest spot in advertising? And does a Super Bowl ad guarantee a brand’s success? Rookie Super Bowl brands as well as veteran advertisers, all hope for one thing: that their $5 million (at minimum) gamble works. At least two rookie advertisers from last year’s Super Bowl – Wix.com and Avocados from Mexico – are returning this year after exceptional rookie Super Bowl campaigns. According to Business Insider, website builder Wix reported a 54% increase in revenue to $44.5 million in the three months ending March 31. Avocados from Mexico also won big. According to foodnavigator.com, AFM imports rose nearly 25% to 200 million pounds in the first five weeks of 2015. While the avocado industry grew around 14%, AFM grew more than 35% in that period. AFM President Alvaro Luque credited the company’s Super Bowl campaign with helping drive weekly sales of Mexican avocado in the US to more than 50 million pounds for the first time ever. Unsurprisingly, like Wix, AFM is also coming back to the Super Bowl this year. This year, a Super Bowl 50 spot reportedly costs $5 million. According to Business Insider, who took a close look at what a 30-second spot really costs, what advertisers actually pay varies based on when the ad runs in the game, specific packages with pre or post-game coverage, and the amount of units that have been purchased for air. And that’s just what goes into the pockets of the broadcaster. Other expenses include hiring an ad agency and springing for added personnel in charge of creating, pushing, and marketing a social media and promo-filled “marathon” campaign that can – and often does – last for weeks prior to the Super Bowl. According to Kantar Media, a Super Bowl ad buy for a small company is typically 15% or more of their annual media budget. Kantar also found that almost one-third of advertisers put more than 10% of a full year of media budgets into the Super Bowl. This hefty investment is often a gamble and the success or failure of a Super Bowl campaign, like any other in fact, is hard to evaluate or separate from other moves and strategies. The jury is still out as to both short and long term success of Super Bowl campaigns, and there are some contradicting research and numbers out there. According to Charles R. Taylor, professor of marketing at Villanova School of Business, who spoke to AdAge on the subject, a brand new advertiser often has a hard time standing out among the more established and memorable brands. And it’s just not the newbies: alongside some success stories, Super Bowl history is fraught with failed advertising rookie campaigns. Again, it is near impossible to tie any campaign to a long-term success or failure of a brand, but some cases show that if some factors go awry, not even a Super Bowl campaign can save you. Take Polaroid, Bugle Boy, Outpost.com and Just for Feet as for instances, who all filed for bankruptcy some years following their one-time Super Bowl ads. But this coin has two sides, naturally. The fact that Super Bowl ads have always been, or are supposed to be, more creative than year-around campaigns is a well-ingrained concept with viewers. Americans look forward to the ads as much as, and often more, than the game itself. According to analytical company Rentrak, Super Bowl viewers stay tuned to the ads at a 98.8% rate. A recent survey by ad agency Venables & Partners showed that 78% of Americans (up from 59% in 2011) look forward to Super Bowl commercials more than the game itself. The Super Bowl, then, is a huge opportunity to do two things: launch new brands and raise awareness about established brands. Take a look at some of these year’s rookies. 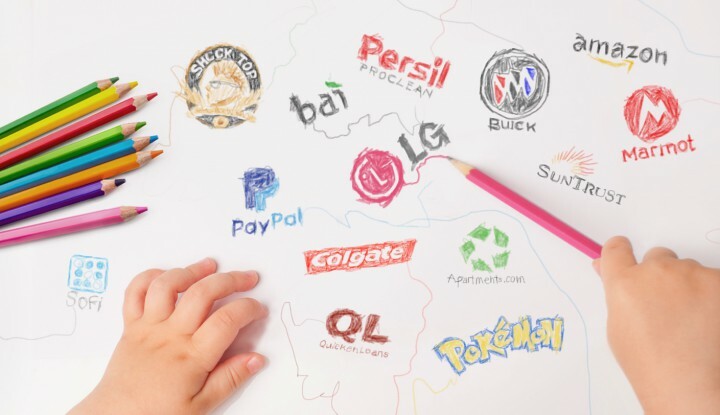 Among the 14, there are some big names like Amazon, Colgate, PayPal, Buick, Henkel (advertising Persil), Quicken Loans and LG. Some, like Buick, LG, Quicken Loans and Henkel are promoting relatively new products in the Super Bowl. Henkel, for example, will use the platform to promote its Persil ProClean laundry detergent, which rolled out in March in WalMart stores and expects to hit even more retailers nationally this spring. Another example is Quicken Loans. Their Super Bowl ad promotes their new online mortgage service – Rocket Mortgage. Similarly, LG is debuting its new OLED TVs. 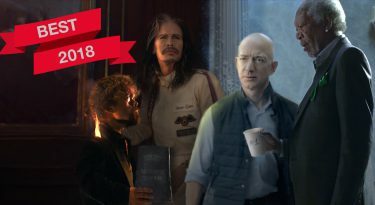 Apartments.com, a smaller company and also a first-timer, debuted its revamped website in their Super Bowl commercial, using A-lister Jeff Goldblum and Lil’ Wayne to help them do so. As social media gains in popularity and reach, so do Super Bowl campaigns. Social media and promos leading up to Game Day has evolved as major awareness-raising strategies for brands over the last few years. In 2015, according to Kantar Media, hashtags have overtaken URLs as the most popular call to action mechanism. Last year, 57% of non-promo ads (34 of 60) contained a hashtag and a bit less than one-half had a URL. 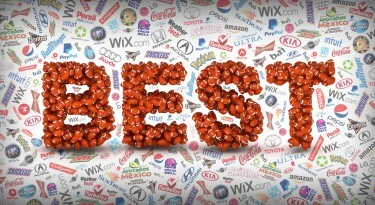 This year many advertisers are running social media campaigns and releasing many teasers prior to Super Bowl Sunday. According to Marketing Magazine, at least 19 advertisers – large and small, are running vigorous social media campaigns. Many of them, not incidentally, are first time advertisers, like LG, Apartments.com, Buick, Amazon, Henkel, Pokemon and Shock Top. Will this year’s rookie advertisers rise to the occasion and win the hearts, minds, clicks and dollars of Super Bowl viewers? While the Super Bowl is far from being a magic formula for success, its reach and the hard work of campaigners are keeping the dream alive, one Super Bowl at a time.